At NLC Solutions, we have been delivering world-class commercial cleaning services for over 30 years. We have handled the cleaning needs of warehouses, factories, manufacturing facilities, offices, hospitals, banquet halls, and many more. Whether you require a one-time cleaning service or a contract-based cleaning service, we have got your back. Formerly known as Raritan Township, the Township of Edison is located in Middlesex County. The Money Magazine has recognized Edison as one of the best places to live and work in the United States. The township is more than 30 square miles and has a population of over 100,000 residents. It is home to a vibrant business environment (it is home to NJ's largest private convention center – the New Jersey Convention and Exposition Center) and high achieving public schools. Floor Care in Edison:Clean and well-maintained floors can help enhance safety by reducing incidents pertaining to slips and falls. It also forms a positive first impression when you need to deal with many customers and vendors on a daily basis. Industrial Cleaning Services in Edison:All personnel at NLC Solutions receives extensive training. They are certified and thoroughly vetted operators. We can clean your windows, restrooms, and more. Green Cleaning Services in Edison:NLC Solutions uses environmentally friendly products to prevent contaminants from being released to the environment. Cleaning Supplies in Edison:Need to restock your hand soaps and hand sanitizers? We offer a wide range of cleaning supplies for your business! 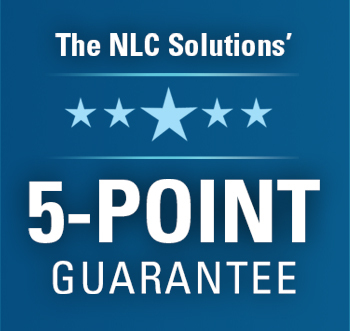 To speak to one of our cleaning specialists, simply call us at (908) 753-3900 or email us at info@nlcsolutions.com.